ZipQuote currently offers real-time Auto and Home Insurance leads with a focus on high-intent channels such as direct navigation, paid and organic search. Armando was very helpful with my maximizing my account. So far the calls have been able to be timed when I want them and I can pause when I have enough leads. I have had zipquotes for about 9 months. At first leads were hit or miss. I kept the program because I would write at least 1-2 pieces of business and generate a referral here and there so I justified the cost. I honestly spent about $100-$200 a month on this. Saved me time and I could just run quotes and call. Things started to slow down with them so I didn’t refill the account this time around. They called me and said that if I paid $100 they would bonus me $50. I said what the heck and tried it again. Ever since I have done this, every lead has had to be requested for return. Whether it was a recycled lead, bad phone number, or just a lead that didn’t meet my filters, they have just been bad. I can only interpret this $50 bonus as a bating tactic and that causes me to lose respect for this company. They got me to pay in more money and then sent me crap. It’s not a coincidence because I would say out of 3 or 4 leads I would get a really good one. I no longer see the return on investment and cannot justify keeping this company. Zipquote was good when I first got them, I sold 1-2 policies every month for about $100, they bated me to add more money, leads are now crap. How do companies like this even exist. 100% of the leads I got, the actual customer did not ask for a quote or to be contacted. They even charged my credit card for several hundred dollars the month after I cancelled my subscription. I had to file a fraudulent charge case with my credit card company. 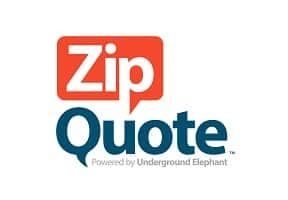 Use Zipquote and get a guaranteed 0% return on investment. I have a complaint into the BBB. The next step for me is to go to the Attorney General in California. I had a big deposit because a friend recommended them and now they wont give it back. I refuse to be taken by these guys they promised leads that they generated and I got 3 day old crap. The Attorney General in California is Xavier Becerra They have materially misrepresented what we were being sold and that is a crime. Please tell everyone on here to contact the attorney general. Terrible lead company. Please don’t waste your money here. They generate leads with incorrect information, phone numbers, addresses, etc. I had a lead that went directly another insurance agent once. He had actually told m, it was his third call that week. What a joke. And when I tried to get my money back on false leads, it was very random weather or not I would get a refund. For every 4-5 leads I had, I would maybe have one that was legitimate. Of those 3-4 that were bad, I would maybe get one refunded. Not to mention the poor customer service. I initially asked for no auto debits. Well, they most certainly auto debited my account. I called 3 times trying to cancel my account and still, haven’t gotten it done. Save yourself some time and heartache with this company. Not a good lead company they don’t credit leads. I have countless leads with telephone numbers that don’t work yet i return them for that reason and they denied my returns countless time. I have to spend time tracking my returns for bad leads that they won’t credit. Call the number you have it just like i do. I have been doing internet leads for almost 20 years. This company has been the worst lead supplier that I have experienced! They lied to me and said the leads were 100% customer generated and no aggregated leads. So far EVERY lead that I have received was BOGUS. None of the prospects requested a quote and most have been bothered for months by other agents. Underground Elephant has refused to give me any refund. They want me to let them keep all my money and for me to spend 100’s of hours chasing down their bogus leads. STAY FAR AWAY! Michelle at Underground Elephant does a great job taking care of me!